‘A Glimpse on 101 Ancient Rishis’ is the author’s debutant approach to demystify the legends of Indian mythology. 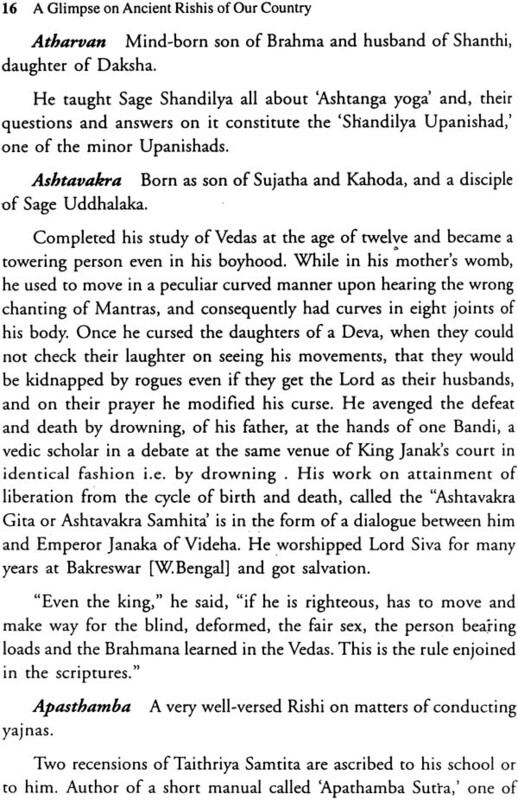 Anecdotes featuring 101 Rishis and their contributions to humanity will let the reader experience a deep spiritual import. It would also give them an opportunity to understand and appreciate the scholastic accomplishments, the force of personality and the ethics of those exceptional Rishis. In simple words, the book provides a clear-cut insight into the Indian mythology, of which, our youngsters are vaguely aware or probably unaware. E T Sankaran Kutty, born in 1937 in Madras descends from a well known family of Palghat Kerala. He graduated from the University of Madras with a Bachelor’s Degree in Commerce, joined Indian Overseas Bank, Chennai, as an Officer and retired as Assistant General Manager in 1997 after more than three decades of tireless service. To fulfill his spiritual quest and thirst, he started writing on Hinduism after his retirement. 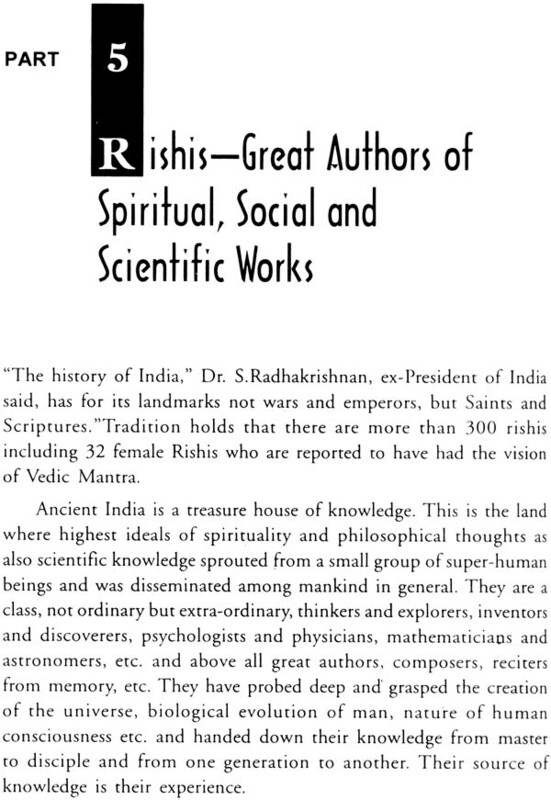 Our ancient Rishis, who are exceptional and extraordinary, are embodiments of the spiritual heritage of our country. 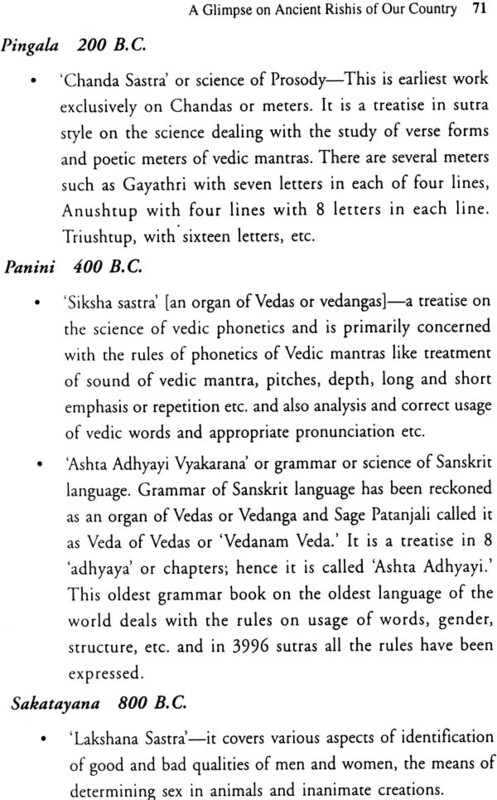 These Rishis are associated with many anecdotes, dating back to thousands of years which ate detailed in the scriptural books of Smrithi like Ithihas (epics) Puranas (sacred legends), etc. 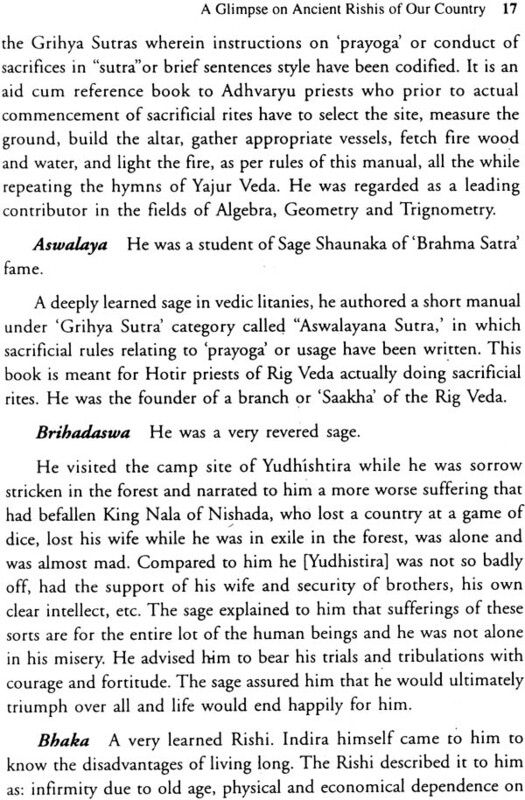 in this book, I have presented many of these anecdotes against the life of each Rishi, in order to highlight their merit pad bring out the power of the personality behind them. Hence, both prescriptive introduction and descriptive elaboration has been avoided. 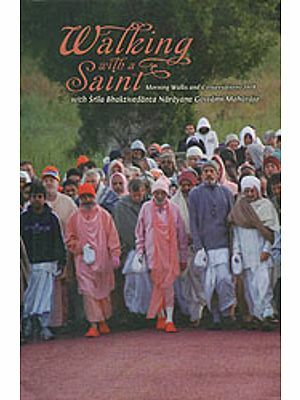 This book is a pure endeavor of collection, compilation and presentation, of the lives of over a hundred Rishis, in alphabetical order. These incidents are taken from the original version of the scriptures. This book is dedicated to the younger generation of our country, who might get a glimpse of the import of the anecdotes, and also the greatness of those souls, who early in life, gave up their mundane existence, practiced penance for many years, gained wisdom by their experience, shared them with their disciples, and in doing so, raised themselves to the high stature of eminence. 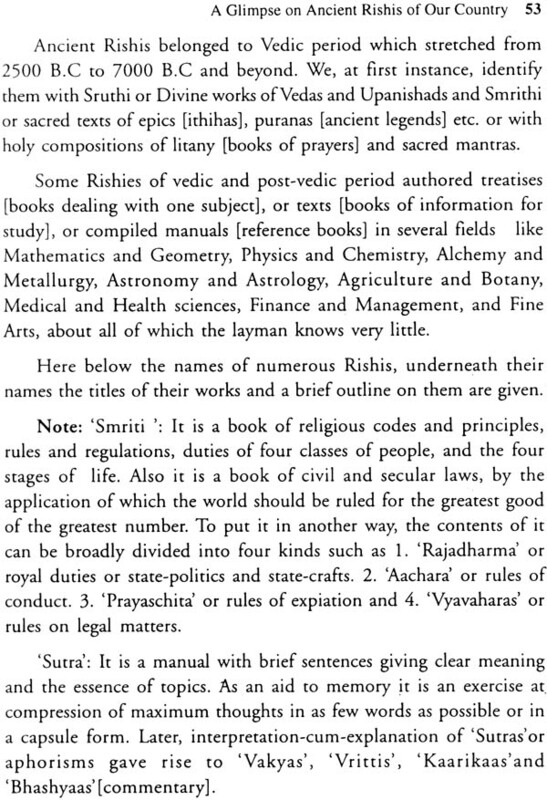 The readers, I hope, would find these snippets, very instructive and would be tempted, to go in for reading of Smrithi literatures, for a full accounts of them, and the eventual appreciation of the excellence of the Rishis entwined in them.